Optimize the concept of fast food by stocking your snack bar, concession stand or food truck with this Carnival King 6" x 1" x 6 1/2" large cheeseburger bag. Made of durable laminated foil, this bag is grease resistant and retains heat, keeping your customers' hands clean while they enjoy their hot and fresh treat! Whether you're serving plain cheeseburgers or burgers with all the fixings, this large bag will meet your serving needs. Its printed design also gives an old school diner appeal, adding to your venue's personality! 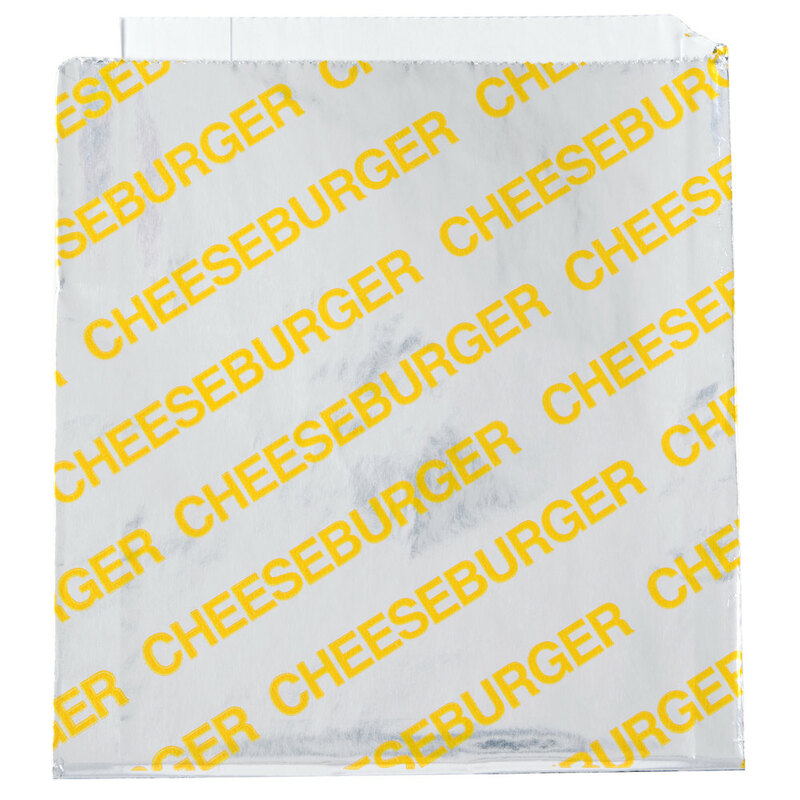 Keep your long line of customers moving, and quickly serve up orders in this cheeseburger bag!